Home / Reviews / Kids / JUMBiES the cute animals that went together wrong! JUMBiES the cute animals that went together wrong! You know those misfits in the world that never feel at home in the world, well we have a whole JUMBiE place of them and they are loving it. JUMBiES are unique plush animals that are Two Animals in One! The silly storks accidentally crashed into each other when delivering baby animals and that is how the JUMBiES came to be! Could you imagine all of the incredible combinations that could have come about from an accident like this! Look at these adorable new plush animals that are here to take the toys world by storm! The kids here in our house love their JUMBiES and I don’t quite what it is about them but they seem to think they are the best. They are well made toys that although they look a little odd, have a story to tell and they are always out and about with us and people ask questions all the time about them. I love that they are different and not just another stuffed cat or dog but, a special hybrid of animals that make kids feel like they fit in all the time, no matter what. It is so important for kids to feel like they matter and just because they may be different they are still great and lovable. 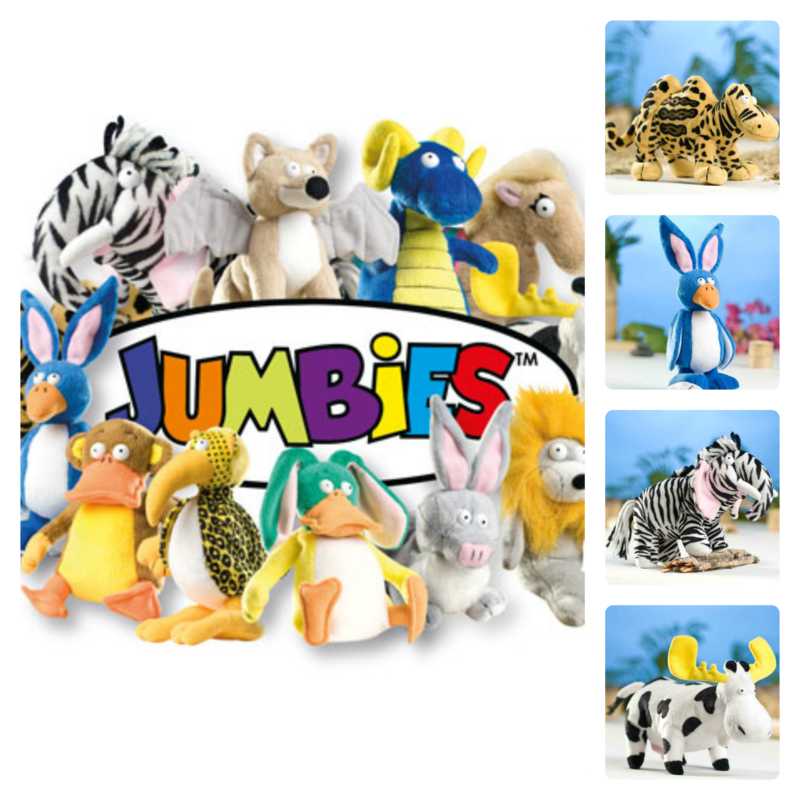 The toys themselves are safe, soft and perfectly stuffed jumbled animals that hold up to playing and cuddling well. They have a huge variety of animals from the “stork accident” and I sure your kids will want to collect them all. If you are looking for something different this season and need a gift a little off the beaten path, this is the one to get! Check out the JUMBiES website and connect with them on Twitter and Facebook. Oh then they are just like me…a misfit. Makes me want to find out more.